Why the Old Testament and New Testament Divide Needs to End! In light of the Andy Stanley Controversy and all the debate about his comments about the Old Testament, I thought I would go ahead and give some of my experiences as to why so many Christians struggle with the relationship with the Old and New Testaments. First, we can tend to forget there was no New Testament at the time of Jesus. Paul stated: “All scripture is given by the inspiration of God and is profitable for doctrine, for reproof, for correction, for instruction in righteousness: that the man of God may be perfect, thoroughly furnished unto all good works” (2 Timothy 3:16-17). Here “Scripture” (graphē) must refer to the Old Testament written Scripture, for that is what the word graphē refers to in every one of its fifty-one occurrences in the New Testament. Second, many Christians assume the way it is today was the way it was in the first century. 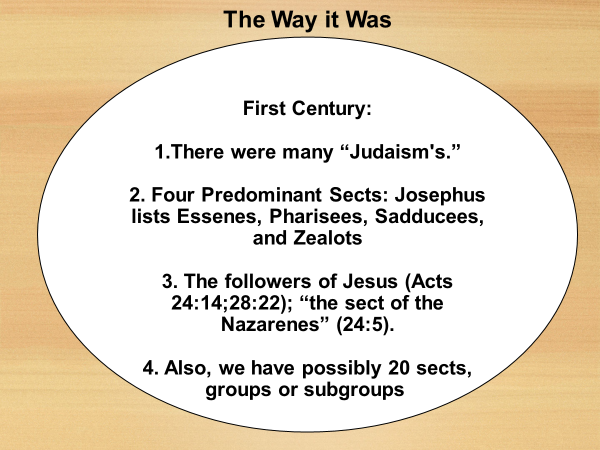 “Prior to Paul what we now call ‘Christianity’ was no more than a messianic sect within first-century Judaism, or better, within Second Temple Judaism — ‘the sect of the Nazarenes’ (Acts 24.5), the followers of ‘the Way’ (that is, presumably, the way shown by Jesus)”- James Dunn, Jesus, Paul and the Gospels, pg 119. Third, in most cases, many Christians assume the New Testament=new covenant. The New Testament contains 27 texts, and all of them were written sometime during the first-century CE. Is there something “new” about the message that Jesus brought? Yes, and no. We can’t just jump to Mark 14:24-25 or Heb. 8:8–12 and assume that is all we need to know about the new covenant. The first place to start is in the Scriptures that Jesus, Paul, and the apostles were raised on. Behold, days are coming,” declares the Lord, “when I will make a new covenant with the house of Israel and with the house of Judah, not like the covenant which I made with their fathers in the day I took them by the hand to bring them out of the land of Egypt, My covenant which they broke, although I was a husband to them,” declares the Lord. “But this is the covenant which I will make with the house of Israel after those days,” declares the Lord, “I will put My law within them and on their heart I will write it; and I will be their God, and they shall be My people. They will not teach again, each man his neighbor and each man his brother, saying, ‘Know the Lord,’ for they will all know Me, from the least of them to the greatest of them,” declares the Lord, “for I will forgive their iniquity, and their sin I will remember no more (Jer. 31: 31-34). Therefore say, ‘Thus says the Lord God, “I will gather you from the peoples and assemble you out of the countries among which you have been scattered, and I will give you the land of Israel.”’ When they come there, they will remove all its detestable things and all its abominations from it. And I will give them one heart, and put a new spirit within them. And I will take the heart of stone out of their flesh and give them a heart of flesh, that they may walk in My statutes and keep My ordinances and do them. Then they will be My people, and I shall be their God (Ezek. 11: 17-20). I will vindicate the holiness of My great name which has been profaned among the nations, which you have profaned in their midst. Then the nations will know that I am the Lord,” declares the Lord God, “when I prove Myself holy among you in their sight. For I will take you from the nations, gather you from all the lands and bring you into your own land. 25 Then I will sprinkle clean water on you, and you will be clean; I will cleanse you from all your filthiness and from all your idols. Moreover, I will give you a new heart and put a new spirit within you; and I will remove the heart of stone from your flesh and give you a heart of flesh. I will put My Spirit within you and cause you to walk in My statutes, and you will be careful to observe My ordinances. You will live in the land that I gave to your forefathers; so you will be My people, and I will be your God (Ezek. 36: 23-28). God promises the forgiveness of sin. God promises the knowledge of God. God promises His people would obey Him. The fulfilling of this covenant was tied to Israel’s future restoration to the land. Now that we see the passages in the Jewish Scriptures about the promise of the coming of the new covenant, how can Christians and Messianic believers claim this new covenant was inaugurated if universal forgiveness for sins has not come to Israel? It is abundantly clear that the Lord made the new covenant with the house of Israel and the house of Judah (see Jer. 31:31–34, quoted in Heb. 8:8–12) and not with the nations of the world, which leads us to ask the question: How do Gentiles get to partake in the new covenant? In response, God’s plan for Israel was to be a light to the nations and be a conduit for Gentiles to come to faith in the one true God. The only way Gentiles get to partake in the new covenant is that they grafted in as Paul talks about in Rom. 11: 13-24. But what’s the point? There would be no understanding of the new covenant apart from the Jewish Scriptures. Did Jesus Come to Bring a New Religion? “Did Jesus intend to found the Christian church? This interesting question can be answered in the affirmative and in the negative. It depends on what precisely is being asked. If by church one means an organization and a people that stand outside of Israel, the answer is no. If by a community of disciples committed to the restoration of Israel and the conversion and instruction of the Gentiles, then the answer is yes. Jesus did not wish to lead his disciples out of Israel, but to train followers who will lead Israel, who will bring renewal to Israel , and who will instruct Gentiles in the way of the Lord. Jesus longed for the fulfillment of the promises and the prophecies, a fulfillment that would bless Israel and the nations alike. 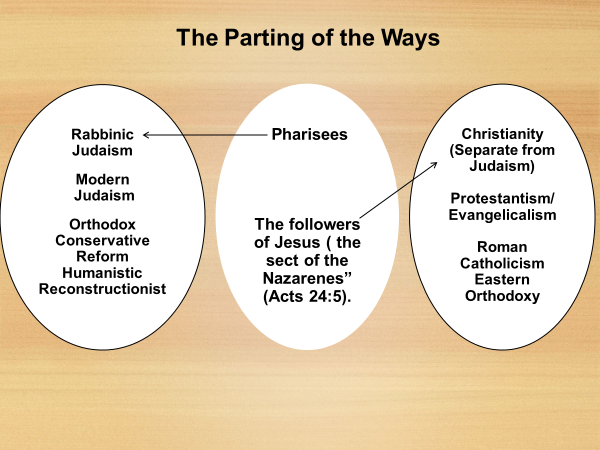 The estrangement of the church from Israel was not the result of Jesus’ teaching or Paul’s teaching. Rather, the parting of the ways, as it has been called in recent years, was the result of a long process”—Craig Evans , From Jesus to the Church: The First Christian Generation. But we must ask if Paul has created a new institution, a new organization, something that stands over against Israel, something that Jesus himself never anticipated. From time to time learned tomes and popular books have asserted that the Christian church is largely Paul’s creation, that Jesus himself never intended for such a thing to emerge. Frankly, I think the hypothesis of Paul as creator of the church or inventor of Christianity is too simplistic. 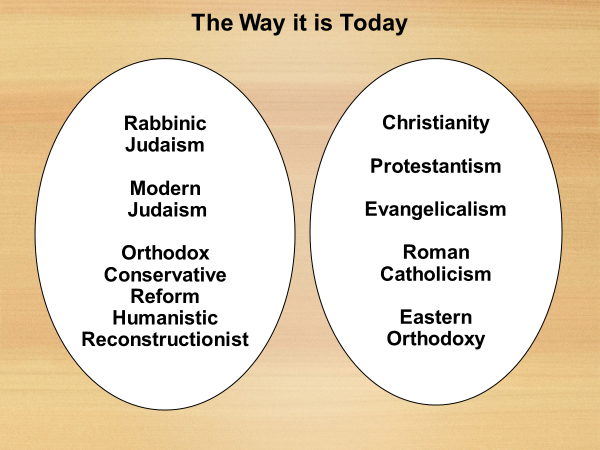 A solution that is fairer to the sources, both Christian and Jewish, is more complicated. -Evans, Craig A., From Jesus to the Church: The First Christian Generation. “Many “mainstream” Protestant churches today are in fact naively Marcionite in their theology and practice: in their worship services they have no OT reading, or if the OT is read it is rarely preached upon. Judaism is regarded as a legalistic foil from which [Yeshua] has delivered us. (I once had a student say to me in class: “Judaism was a harsh religion that taught people to fear God’s judgment, but Jesus came to teach us to love God with all of our heart and soul and strength.”) This unconscious Marcionite bias has had a disastrous effect on the theological imagination of many Protestant churches, at least in the United States….” – Richard B. Hays, Reading Backwards: Figural Christology and the Fourfold Gospel Witness (Waco: Baylor University, 2014), 5. To read the entire article, see here. In conclusion, I hope Christians will see the Bible is one continuous story and not divorce the Testaments.